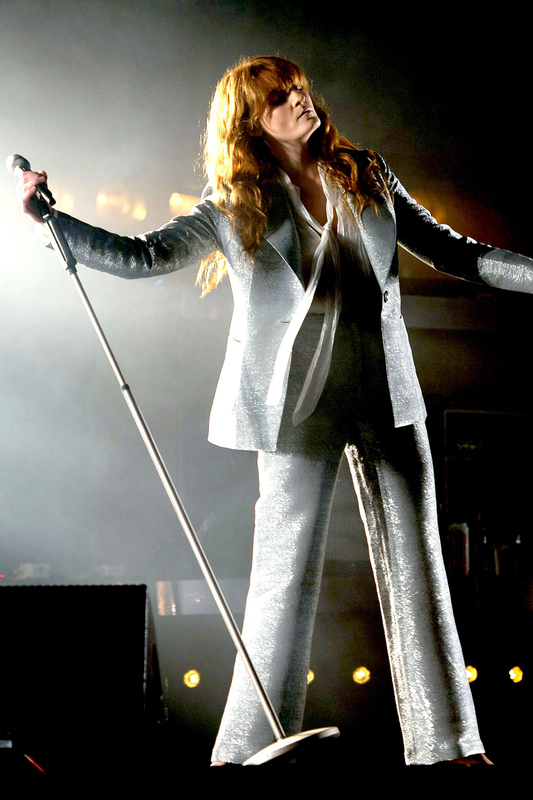 But of course Flo headlined Glastonbury in the silver foil suit of dreams. Thought to be a custom-made Chanel number based on Karl Lagerfeld’s androgynous-chic SS15 show, it really doesn’t get any better than this when it comes to stage get-up. CaKe were out in force this weekend, joining fellow supermodels Karlie Kloss and Gigi Hadid on stage at Taylor Swift’s Hyde Park performance, before jumping in a helicopter down to Somerset to catch Kanye’s headline at Glasto. The duo are now so in-tune, they’ve got T-shirts. Oh sweet colourful bird. Suki wins our award for best use of festival fringing with this rainbow Tim Ryan jacket. Ms Twigs made her Glastonbury debut in suitably kooky-cool attire. 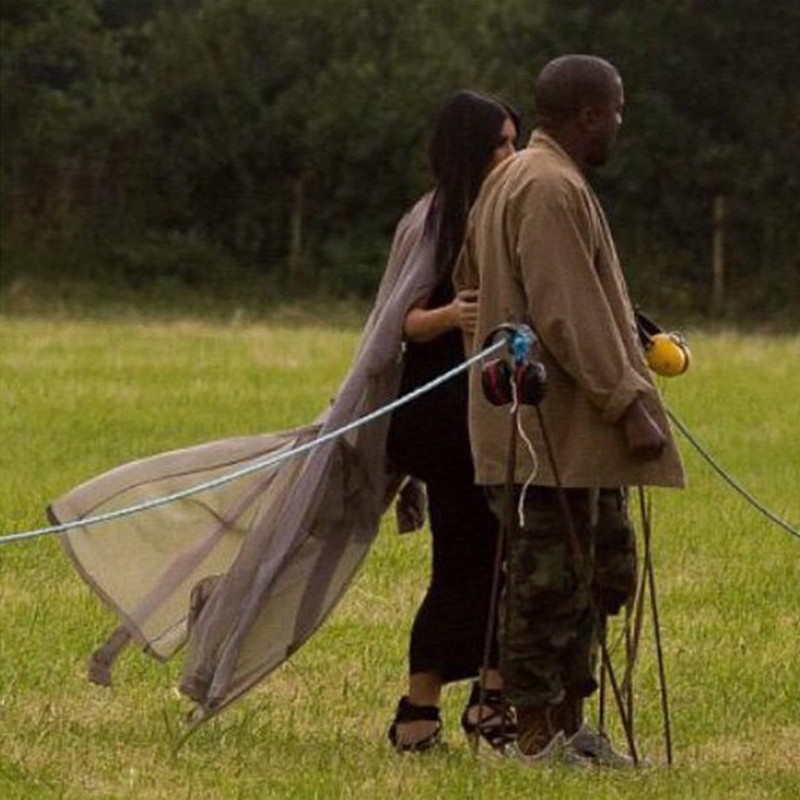 An embroidered chiffon kimono, bandage slippers and a solid gold garter? We’d rule nothing out when it comes to this artist’s trend-starting potential – she’s already made extreme bling a catwalk hit. Always ahead of the pack, Alexa’s looking nodding to AW15’s lurex fabric trend, working this metallic minidress with her staple Hunters. We’re sorry to duplicate, but Flo really owned it this year. 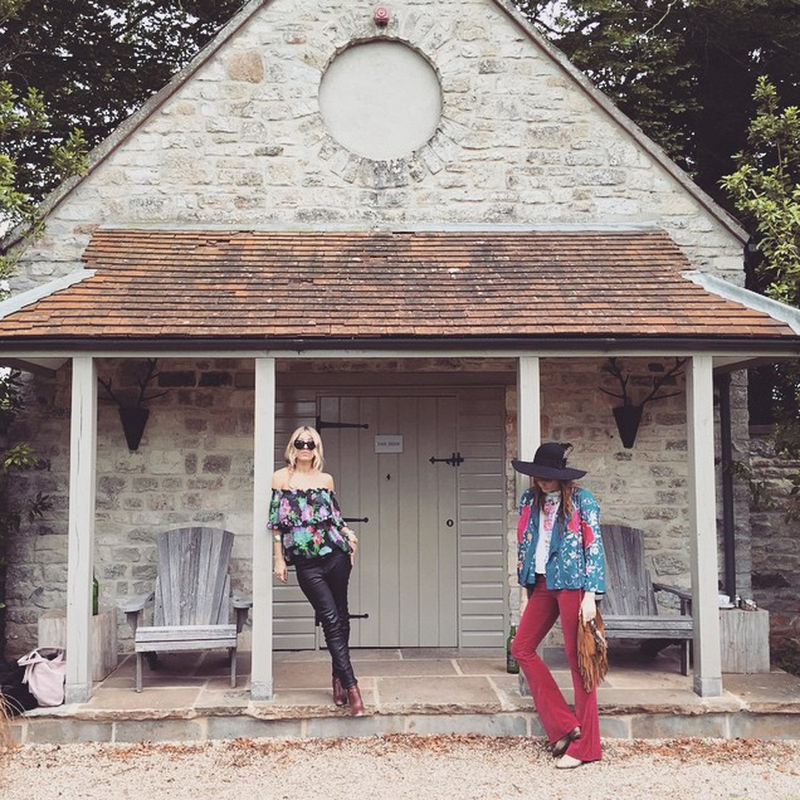 A quick scan of the Glasto audience proved that SS15’s Seventies trend was ripe for the picking when it came to festival style – just think of all that boho potential! But Florence’s off-stage garb was our favourite interpretation of all. The signature draping, the asymmetry, the on-trend red hue. 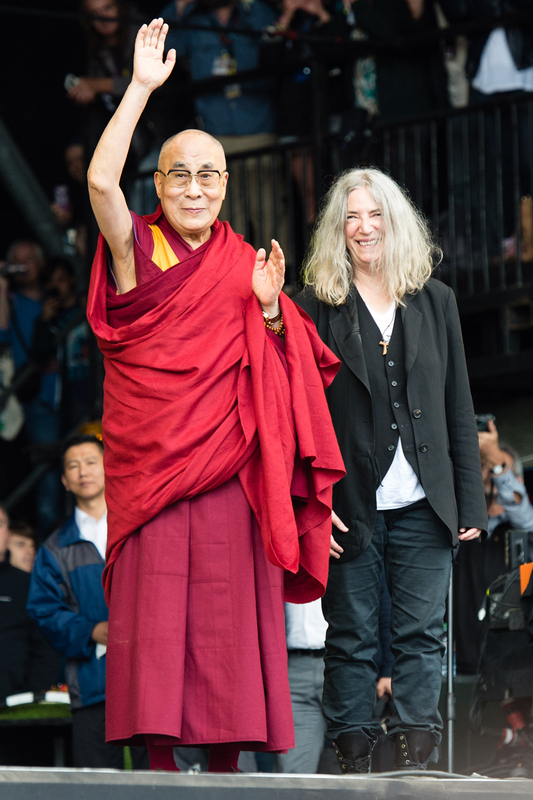 Pictured here on stage with another inimitable style icon, Patti Smith, our 14th Dalai Lama is a man who certainly knows how to make a festival fashion statement.